We’ve had wonderful support from existing and former parents and carers in signing this ongoing petition to urge the Government to take action to ensure maintained nursery schools are financially sustainable. If you feel you can help by signing the petition then please click on this link. With thanks in advance for your support. A Planned Environment: Professional Questions 16th January 2019 * Which groups of children work together in a collaborative way in the Atelier space? * Where is spontaneous mathematical enquiry occurring in the Nursery environment? * Where are boys using language in the Nursery environment? * Which children are noticing change in the Nursery environment? * How can we support children in identifying their feelings and help them to manage their feelings in a positive way? * If we introduce corn flour as a new sensory resource, what language will the children use to describe their experiences? * Can we encourage more spontaneous mark making in the outdoor classroom by providing large paper to work on? * How will the children respond to a new provocation on the mark making table in the graphic classroom? What’s new in Main Nursery from 16th January 2019. * Which groups of children work together in a collaborative way in the Atelier space? * Where is spontaneous mathematical enquiry occurring in the Nursery environment? * Which children are noticing change in the Nursery environment? 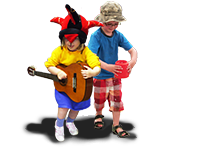 * Are the children thinking of their own ideas in their play in the Nursery environment? * How will the children respond to the new group of children starting in Main Nursery? * How can we encourage the children to share the rules and routines of Nursery with our new children? * How can we support children in identifying their feelings and help them to manage their feelings in a positive way? What’s new in Main Nursery from 9th January 2019. * New coloured mats have been introduced into each group space. * Dinosaur small world resources have been added to the outdoor classroom. * Smaller tubes and connecting joints have been added to the large sand pit to allow the children to continue to explore the properties of dry sand. * As Advent continues will the Advent bags continue to encourage number recognition and subitising in the Nursery environment? * Now the children have experienced the Atelier space with Matt the artist will they use the found materials in outdoor classroom in a different way? * Following the children’s interests in collaborative play can we provide larger 3D resources in the creative classroom to allow them to work together? * If we introduce a real Christmas tree in the graphic classroom will the children be inspired to complete an observational drawing for their own Christmas card? * Can the children notice and talk about the Christmas tree’s features? * A real Christmas tree will be introduced in the graphic classroom. * Larger cardboard boxes will be introduced in the creative area for the children to work on with paints collaboratively. * As Advent continues, Advent bags will continue to encourage number recognition and counting. * A post box will be added to each colour group area to allow the children to post cards to each other. * Will the introduction of the Advent bags support number recognition and any further mathematical enquiry? * With Christmas festivities taking place in the local community and Christmas traditions starting at home, are the children talking about their experiences with adults and each other? * How will children respond to the opportunity to work with paints on a three dimensional scale? * What learning will this painting opportunity lead to? * Are children ‘noticing’ change in the weather on their way to school and in the outdoor environment? * If we introduce another Traditional Tale, The Three Little Pigs, will the children be inspired to create their own structures and test their strength? * Can the children make links with the Three Little Pigs story, thinking of ways to move and travel like the pigs and the wolf in music and movement with Lizzy? * Following the children’s interest in writing letters, can we provide paper and a post box in the graphic classroom? What’s new in Main Nursery from 29th November 2018. 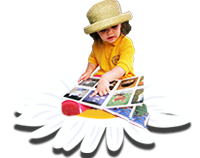 * An assortment of seasonal books and stories will be provided for the children to read and share. * As the build up to Christmas begins, the children will encouraged to talk about and share their experiences. * Cardboard boxes of various sizes will be introduced in the creative area for the children to work on with paints in a three dimensional way. * As Advent begins, Advent bags will be introduced to encourage number recognition and counting. * Cards and a post box will be added to the graphic classroom following the children’s interest in writing letters and cards. Now that all children have explored the feeling fans will they be able to discuss how they feel about visiting their new schools? Can we introduce more props to support the developing shop role-play in the outdoor classroom? Can the children explore heavy and light and begin to use mathematical language when comparing different objects? 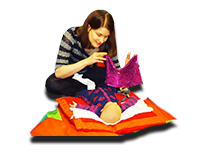 Can we introduce another sensory experience for the children to explore in the creative classroom? How will the children respond if we investigate and experiment with bubbles and paint? Bubbles and paint will be introduced for the children to explore. Different scales will be provided for the children to explore heavy and light. A different sensory experience will be introduced in the creative classroom. A variety of different props will be added to the outdoor classroom to support the children in their shop role-play. Matt the Artist has installed a new water resource in the outdoor classroom. The children will be exploring moving and transporting water. A tuff spot with soil will be placed in the creative classroom to allow the children to extend their interest in mixing soil and water. A provocation will be placed on the mark-making table in the graphic classroom. This may be a telephone or clock. We hope to encourage more independent observational drawing and representation of number. Additional mixed media will be provided for the children to revisit and embellish our large-scale collaborative work in the creative classroom. Rainbow groups will be introduced on Monday, Tuesday and Friday afternoon this week. Children will remain in a particular space in the Nursery to allow them to work with focus for an extended period of time. Non-standard units of measurement will be introduced in the Nursery environment to support children’s mathematical understanding. Chalks will be added to the outdoor classroom for the children to mark make with. A large collaborative piece of work will be introduced in the creative classroom. The children’s workbooks will be moved to the graphic classroom in a space that can be accessed independently by the children.